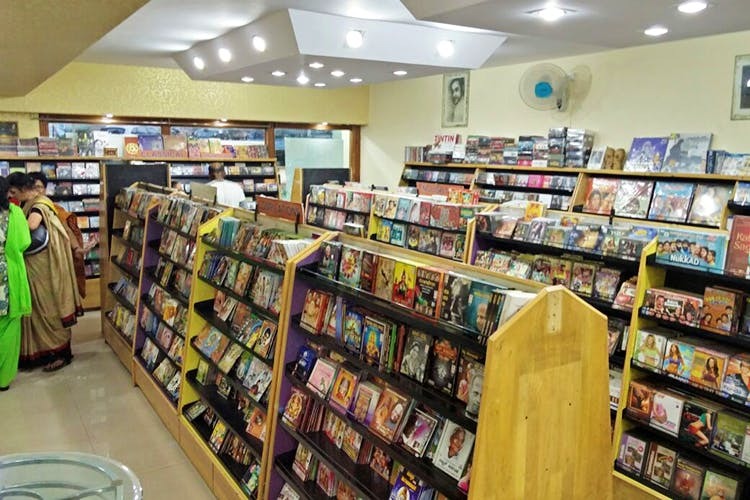 Moving with the times of music and technology, Calypso, the record store in Jayanagar will kit you out with vinyl records, DVDs, CDs and all sorts of films too! Vinyl records used to rule the world, and then came audio cassettes, CDs and DVDs. But what goes around, comes around, so LPs are back and how! And Calypso, owned by the very musically learned Vikas Chawla, has been stocking them since 1999, transforming with the changes in technology no less. If you know exactly what you want, head over to the store and he’ll help you find it. And if it’s not in store, he’ll try and source it too. If you’re looking for Elvis Presley, The Beatles and The Doors, don’t think twice before going here. There is also a massive selection of good old Iron Maiden, Pink Floyd and The Eagles. See, I told you, old-school and retro cool! All you young humans, they also have One Direction and Ed Sheeran too. What is cool about Calypso is that they have unusual music and movies too. If you thought you were cool and knew sci-fi, then think again. These guys have the 1927 film Metropolis which is touted to be the first science fiction film, ever! Beat that. They even have arthouse film Aakrosh. Not limited to retro or rare, the store is also on point when it comes to new films and music, across the board. From Beauty And The Beast and Dangal to Star Wars: Rogue One and Dear Zindagi, they have it all. Team LBB is secretly eyeing the OST of Guardians Of The Galaxy: Vol II as well as Bruce Springsteen’s Chapter And Verse autobiography in CD format which has his earliest recordings and songs till 2012. Bollywood buffs, stock up on OST LPs of things like Dilwale and Ae Dil Hai Mushkil. In addition to the good of Kishore Kumar and Mohammed Rafi, of course. Those into classical music — Indian and Western, or religious music too, look no further than Calypso. They don’t stock pre-used products, and with LPs priced at INR 1,500 to about INR 3,000 it’s time to seriously say no to piracy! Go on, save the arts and let the life of LPs last forever!